The product that started it all. 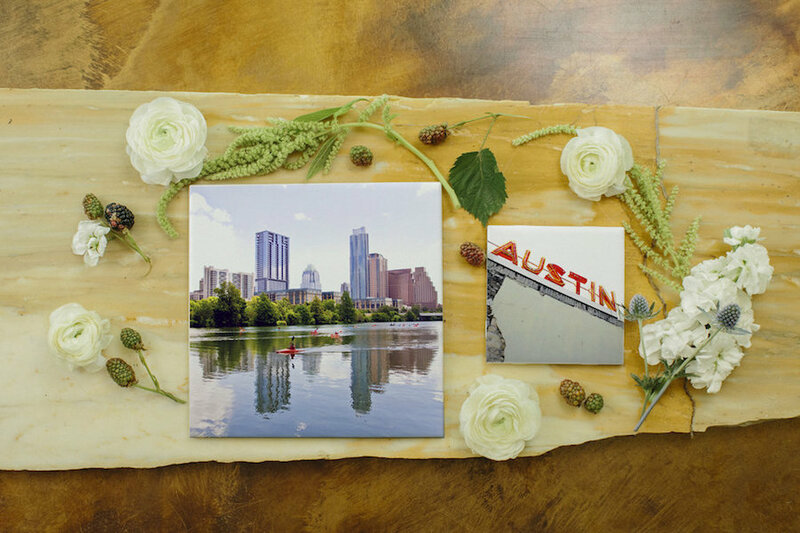 The coasters are a ceramic 4x4 inch tile with a cork backing, made in Austin, Texas. The tempered glass and dishwasher safe cutting boards are offered in two sizes: 8x11 and 12x15 inch. 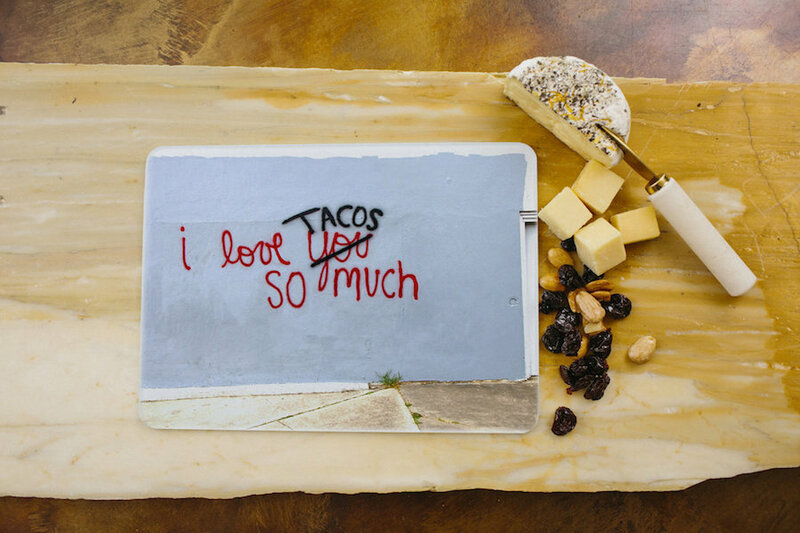 The cutting boards can also be used as serving platters or as a decorative item. 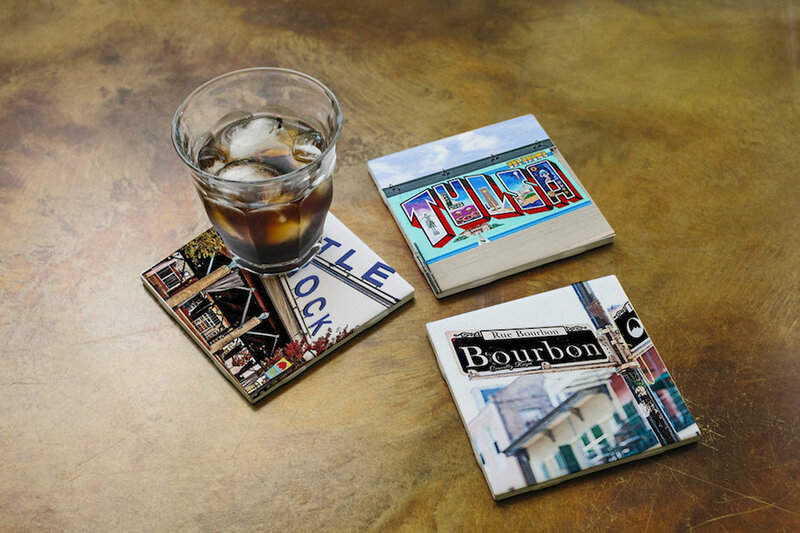 The 8x8 inch trivets are made of the same high quality ceramic tile as the coasters. Perfect for hot pots or adding a bit of flair to the table. Ornaments are a 2.5x3.75 inch scalloped aluminum double sided decoration with a red ribbon. 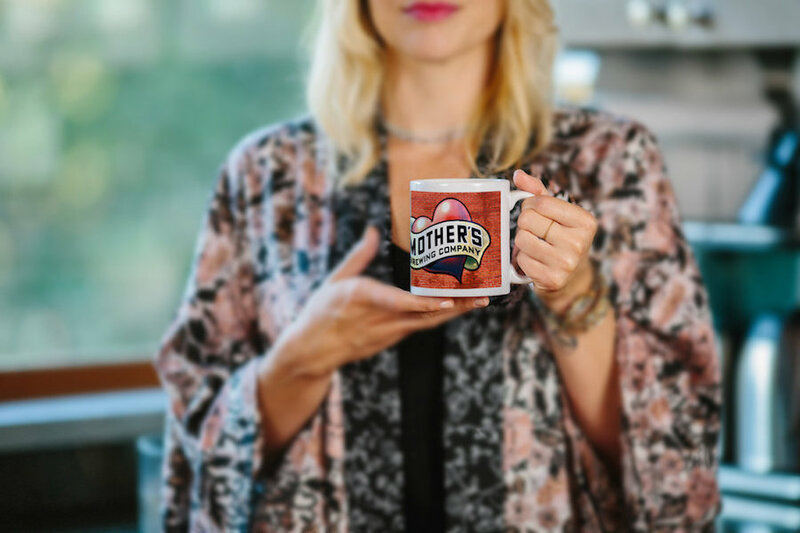 11oz ceramic mug great for any occasion. The magnets are 4x4 inch aluminum squares with magnetic backing. 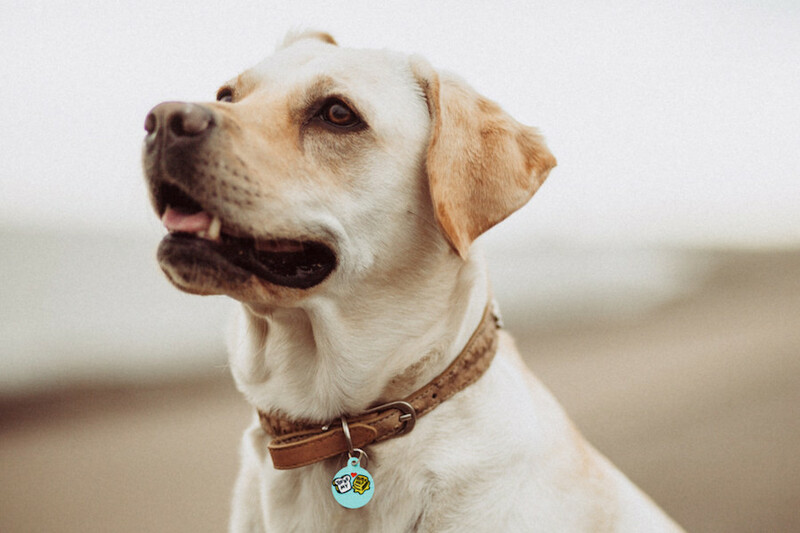 Show your furry friend you care with a pet tag. View popular pet tags here. 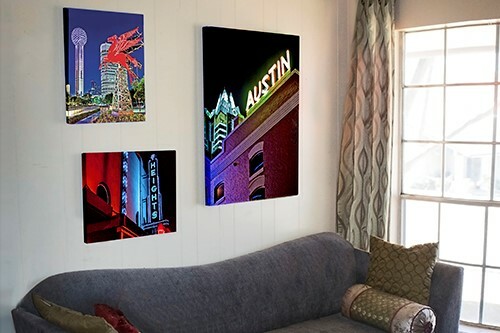 Decorate your walls with our canvas prints. From 8x10 accents to a 36x48 statement centerpiece for a living room. We offer archival gloss prints and gallery wrapped canvases. Don't see a size you'd like? Contact us and we will work with you to accommodate your needs. 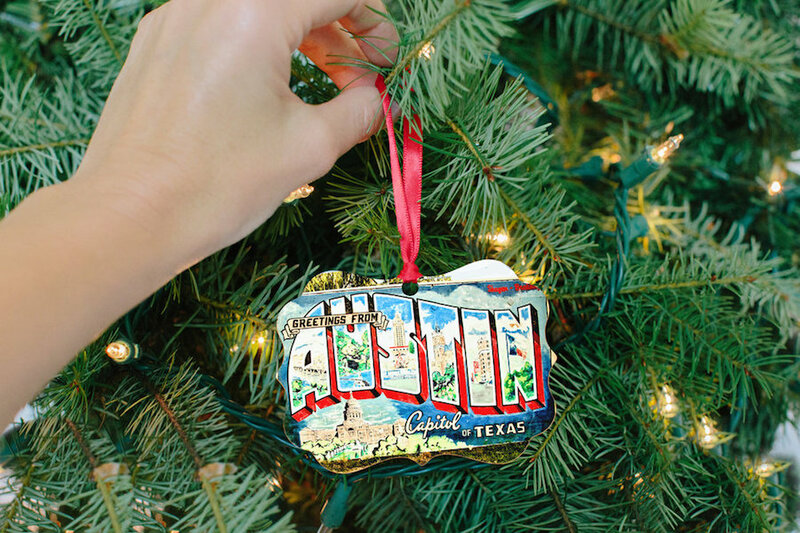 For orders over 50 items contact us at info@southaustingallery.com.